What a radical party, huh? The governor of Washington, Jay Inslee, declared his candidacy for president on March 1. His chances of earning the Democrat Party nomination are slim to none, on a good day. Inslee’s biggest problem may be that he’s a straight white male – and he’s so very sorry about that! Washington governor and 2020 candidate Jay Inslee (D.) said on Sunday he thinks he has humility about being a straight white male, saying he recognizes the advantages he’s received as a result of that identity. “I think I have a humility about being a straight white male that I have never experienced discrimination like so many do. I’ve never been pulled over as an African-American teenager by an officer driving through a white neighborhood. 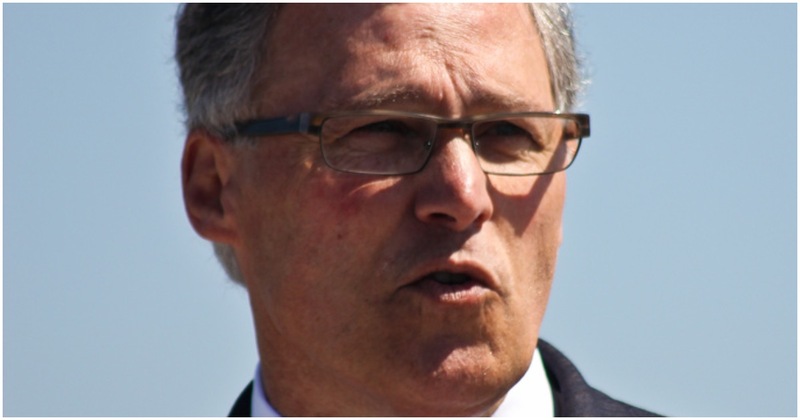 I’ve never been a woman talked over in a meeting,” Inslee responded. New York recently passed a bill allowing late-term abortions. Therefore, it only seems right that a New York Democrat running for president would say she supports “X” as a third gender option. New York Democratic Senator Kirsten Gillibrand, a 2020 candidate, endorsed federal implementation of a third gender listing for Americans who identify as non-binary. Speaking at an LGBTQ-focused meet and greet in New Hampshire on Friday, Gillibrand emphatically said “yes” about recognizing “X” as a third gender marker. Will the other Dems running in 2020 come out now and echo Gillibrand’s words? Does Gillibrand have a shot at her party’s nomination? Kirsten was the fourth Democrat to enter the 2020 race. Sen. Kirsten Gillibrand launched a presidential exploratory committee Tuesday night, joining the crowded Democratic hunt to win the White House in 2020. One-term Arizona Senator Jeff Flake was hypercritical of candidate and President Trump. The two hardly ever saw eye-to-eye publicly, with each man routinely calling out the other. Flake played around with potentially running for president against Trump in 2020. He seemed to be pretty serious about it. But now, it’s official. He’s out. Shocked that Jeff flake who wouldn’t have come close to winning his home district isn’t going to run for president. I thought he was a real contender???? Maybe try for dog catcher!